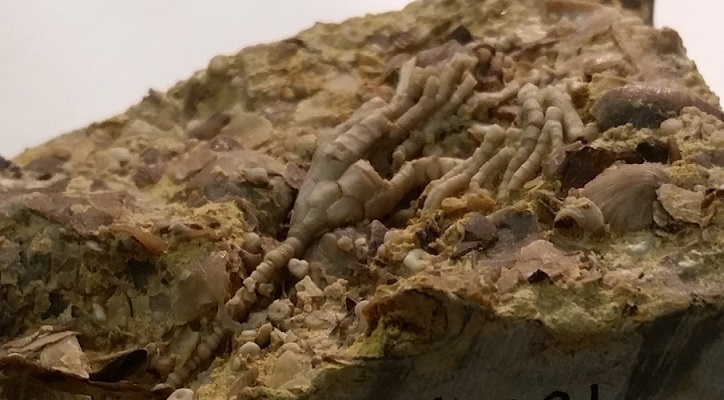 This week on Fossil Friday, we have a beautiful little specimen collected in Stewartville, Minnesota. Dating from the Middle Ordovician, this specimen is 460 million years old—give or take twenty million. What is it? Guess right and win bragging rights for the week!